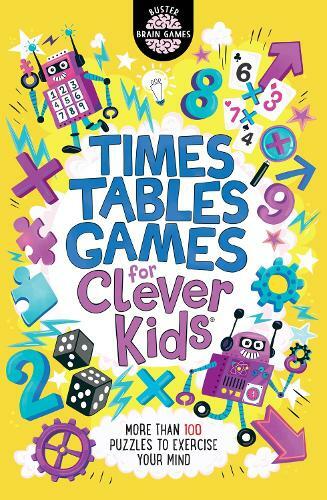 A fantastic follow-up to Brain Games for Clever Kids and new to our Clever Kids puzzle book series, this book is brimming with activities designed to help kids practise their times tables by solving super-fun multiplication-themed puzzles and games. Kids can only work out the answer if they know their times tables! From dot-to-dot times tables and colour-by-multiplication activities to code puzzles, Calcudoku conundrums and number pyramids, there's plenty of content to bamboozle the brain and test those times tables. From best-selling puzzle book author Gareth Moore, creator of the chart-topping success Brain Games for Clever Kids that has sold over 70,000 copies in the UK.